Bubble Deck is a precast floor system which makes floor slabs lighter and stronger by incorporating hollow plastics balls with a lattice of steel. A fairly new concept which was brought to Perth mid 2007. 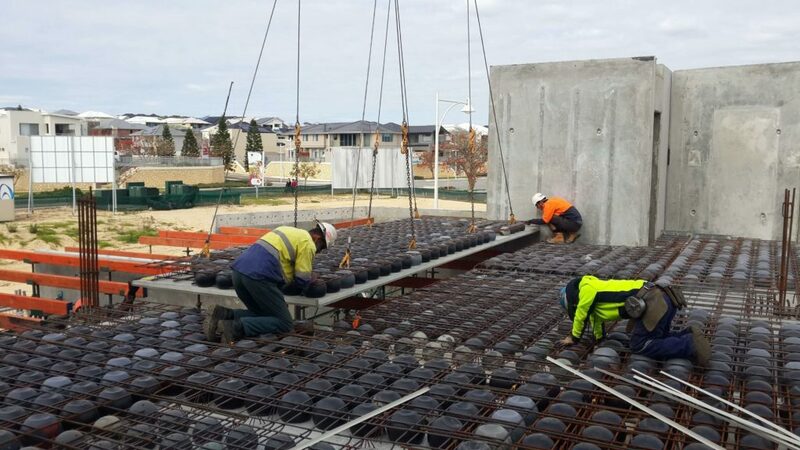 Reofast has been working with the bubble deck company to lay the bubble deck panels, install formwork and steelfixing to complete a bubble deck flooring system.